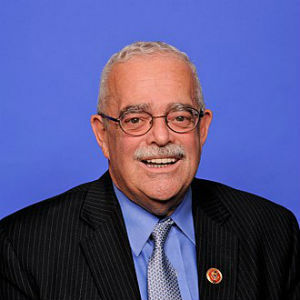 Congressman Gerry Connolly (D-VA), Vice Ranking Member of the House Committee on Oversight and Government Reform, released the following statement on President Trump’s decision to cancel a 2.1 percent pay raise for civilian federal employees scheduled to take effect in January of next year. “President Trump is feeling cornered and lashing out by cancelling a modest, planned pay increase for our dedicated federal workforce. His tax bill exploded the deficit, and now he is trying to balance the budget on the backs of federal workers. I will not accept President Trump’s mismanagement of the federal government as fait accompli. 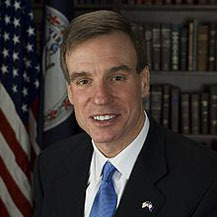 “My goal remains the enactment of the FAIR Act (H.R. 4775), which would provide a 3 percent pay increase for the federal workforce in FY2019. “We have a government to run, services to deliver, and people to care for. We do not do any of that without a motivated and talented federal workforce. It might be President Trump’s goal to hollow out our cancer research centers, public health agencies, and national security staff. It is not mine. “Let’s be clear: the President’s decision to cancel any pay increase for federal employees is not motivated by a sudden onset of fiscal responsibility. Today’s announcement has nothing to do with making government more cost-efficient – it’s just the latest attack in the Trump Administration’s war on federal employees. “I’ve worked for years in the Senate to reduce duplicative and wasteful spending, and make government more efficient. If President Trump seriously wants to make that a priority, then I’d be happy to work with the White House on that effort. But let’s be honest: the President and his party, which controls both houses of Congress, have had every chance over the last 18 months to get serious about tackling our fiscal challenges. Instead, the President ballooned the deficit by trillions of dollars with a tax giveaway primarily benefitting big business and the wealthiest Americans. I can think of nothing more hypocritical or disingenuous than to turn around and throw hardworking federal employees under the bus on the pretext of fiscal responsibility. “President Trump’s decision to deny pay raises is a slap in the face to the hardworking civil servants who help keep us safe, care for our veterans, and faithfully serve the American people. No one will believe his dishonest justification of a ‘national emergency or serious economic conditions,’ which is contradicted by Trump’s own commentary painting a rosy picture of the economy. This newfound concern for the fiscal prudence is impossible to credit, given Trump’s willingness to create massive deficits and determination to waste money on pet projects like his border wall. This is merely an attack on another class of people he does not like. 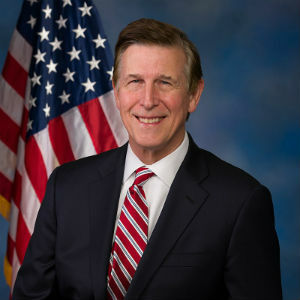 Congressman Beyer represents the largest number of federal employees of any Member of the House of Representatives.